A wild deer wreaked havoc when it literally smashed into a Pennsylvania supermarket Monday evening. The doe knocked a man to the ground before it was eventually led outside. Robert Beck III was shopping when he heard a loud bang. He assumed it was someone with a gun, but was surprised to discover a deer had burst through the glass door of the Giant Food Stores. The ungulate was making its way towards the bakery section when Beck spotted it. An avid hunter, Beck chased the deer down and grabbed it around the neck. "When I seen it, it was game-on," he said. Beck was leading her towards the exit when she became spooked by the other shoppers. The deer then kicked Beck in the ribs, knocking him to the floor. "I think she was scared from all those people," Beck said. "She was like, 'Oh my God, what the heck did I get myself into?'" Beck enlisted the help of two other shoppers who managed to hold on to the deer and place a jacket over her head. They brought her outside and saw that, aside from a bloody nose, she appeared to be fine. "Then she ran back towards Starbucks, and that's the last I saw her," Beck said. Police chief Bryan Rizzo praised Beck’s efforts, but urged people to exercise caution when approaching wild animals. “If the citizen is an experienced hunter or someone with experiencing wildlife then I would say they should use their own judgment," he said. 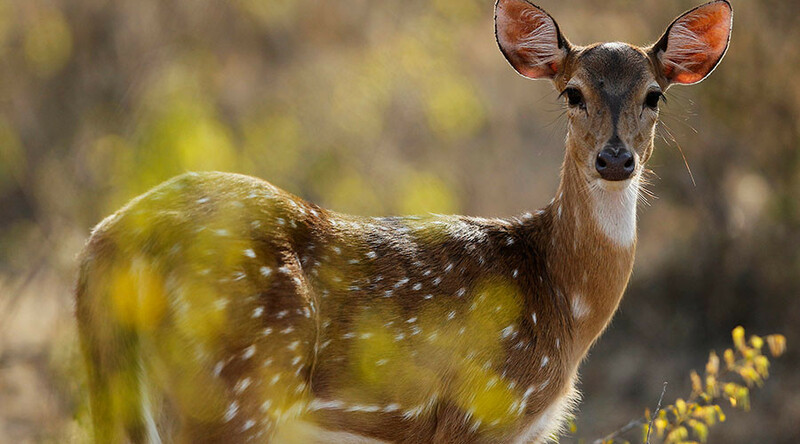 "In this case, it was a hunter who had experience in handling live deer, and we are grateful for his intervention and quick thinking in getting the deer under control before the animal could injure anyone, itself or do more damage." Two of the deer’s four legged accomplices were reportedly spotted loitering outside the store.